If you haven't gotten any traction with your social media marketing or have yet to try, then it's clearly time to engage your social marketing strategies using Sky High Social. Even if you have your regular website as the first link on Google, you CANNOT ignore the value of the social conversations going on with or without you on your Facebook fan page. If you want to be successful with social media, you MUST make Facebook your top priority. Who's on Facebook? The short answer, of course, is everyone.. This is a fact and it is not going to change anytime soon. Get it right with Facebook first and then use that clout with your other social networks. Fact: Social Media is "word-of-mouth" amplified x1000! Who are we?  Kansas City based Sky High Social is a team of extremely creative entrepreneurs who think outside the box and have years of experience in online marketing, web development and high-end graphic design. We supply our customers with everything needed to blow away the competition. We are located in downtown Kansas City Missouri in a multi-level penthouse with martini bar and indoor pool. If you would like, set up an appointment to come in and discuss your business needs. Remember, we strive to keep it simple and get you where you need to be in the shortest time possible. Our program helps you build fans, collect leads and make more sales. Please read our "Need-to-know" article to fully understand why you need us and how it is going to benefit your company. We create a Facebook specific tactical plan using objectives and action items. Create custom pages within your Facebook Fan page. 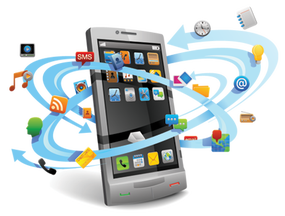 Each promo app creates a list of all profiles that have interacted with your promotion. Automatically exports your list into a 3rd party email list (MailChimp, Constant Contact, etc). Your list contains Facebook ID's which when imported into your Facebook Ads manager, creates custom audience feeds for your ads. Auto-play custom videos inside your Facebook fan page - your competition does not know how to do this. Like Groupon but better. With our pay gate, you can offer discounted coupons and offer your customers cash back incentives using the share/affiliate tool. Automatically generates QR code links that you can use in emails, on websites, on printed materials, etc. Using our pay gate, refer a buyer and get a percentage back while offering a valuable incentive. We will optimize every aspect of your Facebook fan page. Header/profile images, links etc. There are certain things that have to happen with these elements to make your fan page work as it should. Don't take a chance of getting blocked by Facebook! Our system integrates your existing Google Analytics code so you know exactly what kind of traffic you are getting to your Facebook fan page. We will create and deliver a comparison report based on your fan page and your competitions fan page.